Q: Aren’t Watercolors fragile? How long will they last? damage as a result of poor framing. 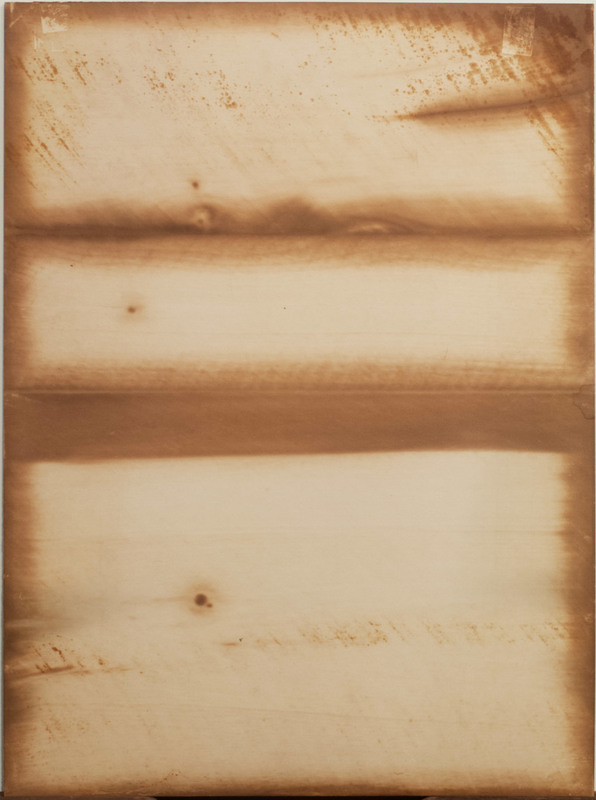 The quality of the pigment itself is what determines a watercolor’s permanence. Properly cared for, watercolors made with permanent colors on good quality paper are as permanent as any other medium. However, pigments that change when exposed to light will be especially noticeable in watercolor paintings, because the washes are so thin. Since light is a major catalyst, watercolors should be kept out of direct light and protected by a sheet of filtered glass or acrylic. They should also be mounted in acid-free mat board to keep the paper from discoloring over time. For example, when John James Audubon’s hand-colored engravings have been kept in their original books, they remain as true and vibrant as when they were painted, first because they are protected from light and second because the quality of the paper that surrounds the prints is very high. When the books are broken up, however, they may be exposed to light and acidic framing materials. Color deterioration can vary from mild to a severe, rendering some virtually worthless. Writes Christa M. Gaehde, formerly on the conservation staff of the Museum of Fine Arts, Boston: "Many fine prints have survived in pristine condition for centuries, but many more have been damaged and lost through neglect and ill treatment." Watercolors take special care, but their appeal lies in the spontaneity and subtle coloring not found in oils. 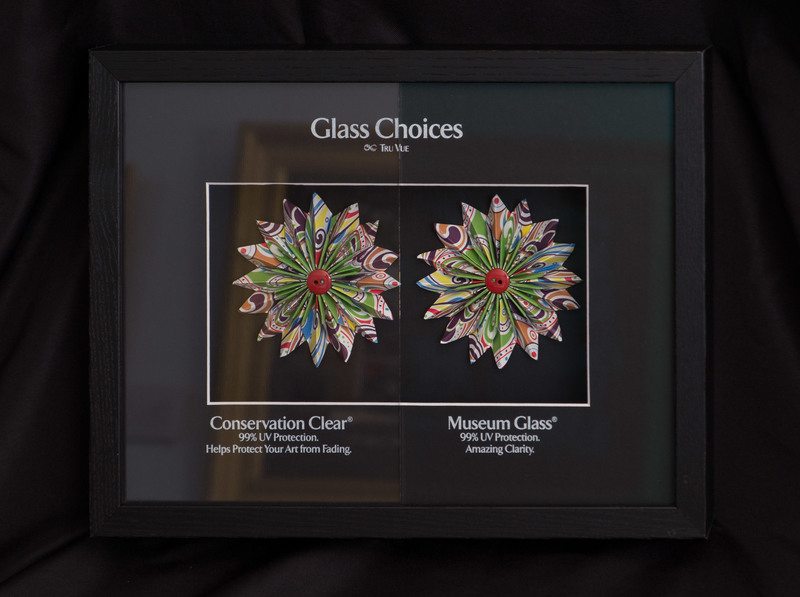 Today’s modern methods of framing, particularly the development of special glazing that can block 98 percent of ultraviolet light, have provided collectors with the tools necessary to enjoy these fresh works indefinitely. Q: How can I protect my watercolor from fading? Direct sunlight should not come in contact with any work of art, including oils. Unprotected watercolors are particularly fragile – even a few weeks in direct sunlight or in a very bright room with reflected light can fade the impermanent pigments and embrittle the paper. The paper may also become bleached or yellowed. Clear glass does provide some protection to your work on paper, but it still allows 53% of harmful ultraviolet rays to filter through. Newly developed ultraviolet filtering glass now has a thin coating that blocks more than 97% of ultraviolet light and protects your artwork from becoming brittle and faded. 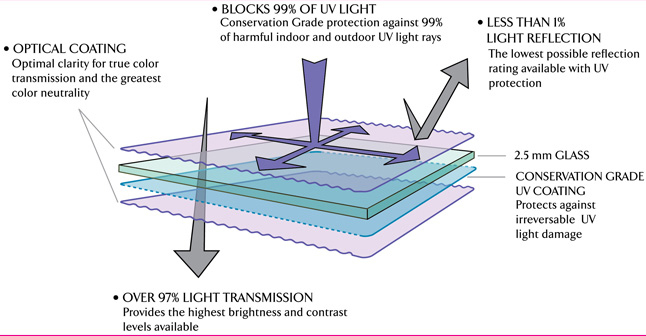 A line of ultraviolet acrylic glazing has also been used successfully for years and can block up to 99% of harmful rays. While it is less likely to shatter than glass, the surface is quite susceptible to scratches and glare can be a problem. Conservation glasses are also available with a lightly etched surface that acts to diffuse light and minimizes unwanted glare. The downside of reflection control glass is that it displays a slightly greenish tint and can cause a subtle softening of the image. A new type of glass called museum glass has been developed that filters out 98% of ultraviolet light. In addition, this new glass dramatically cuts down on glare with extremely thin layers of a special coating that diffuse the incoming light rays. Because these rays are not deflected, it actually allows more light to illuminate your artwork than what is transmitted by standard glass. This can make the image appear brighter and more vibrant. While it is expensive, the cost seems well worth it to preserve a watercolor selling in the thousands and displaying the work at its best.